Crown Valley Animal Care Center In Laguna Niguel, CA. A full service pet hospital, venterinary and professional pet care services for OC which include: orthopedic, cardiology, dentistry, surgery and medicine for your pets� health improvement. 24 hour pet care for both emergency and routine appointments for cats, dogs and more. Since 1960, Beach Boulevard Pet Hospital has been serving the Orange County beach community pets like they were part of their family. With pet care such as medical, surgical and dental services, they have just about everything needed to keep your dogs & cats in good health. They are Certified in TPLO Procedure for Anterior Cruciate Ligament tears. "Canyon Hills Animal Clinic has provided compassionate veterinary care in the Santa Ana canyon area since 1974. Our goal is caring for both pets & people. This is done by providing the best available medical treatment to your pets. Offering the convenience of a pet hotel, grooming salon, & supply store in the same facility. Pet laser surgery also. "My goal is to bridge the gap & offer & owners safe and natural alternatives to veterinary care that will enhance their pets� natural healing ability to prevent and reverse diseases. As compared to their pharmaceutical counterparts, herbs exhibit healing properties without harmful side effects. Also have a doggie daycare & dog adoptions in brea. ABC Animal Hospital In Cypress Orange County, CA. Excellent looking pet care facility with many pictures showing this veterinarian clinic�s equipment. Including x ray machine used for your pets, ultrasound machine/ECG and oxygen cage. They also have several videos that display the clinic in Cypress. "By specializing in the exclusive care of felines, we are able to offer you a cleaner, quieter, & less odorous facility. The sounds & smells of dogs are often stressful to a cat and make a typical veterinary visit for your cat a frightening experience." Their feline specialists include Dr. Elaine Wexler-Mitchell, Dr. Cathryn Starr & Dr. Pearl Yao. "We are a full service veterinary hospital & boarding facility serving the needs of Southern California�s South Orange County community since 1966." This veterinary clinic features board certified specialists & doctor supervised, comfortable, spacious kennels with outdoor exercise areas. They also sell bathing & medicated skin treatment products. Signal Hill Animal Hospital, Inc. This veterinarian located on Newport Blvd. provides some good descriptions of their services. And more importantly, the reasons behind them & benefits to pets & owners alike. Read the section under dogs & learn about spay or neutering your dog, flea control and more. In addition to general vet services, Dover Shores also provides pet microchipping. Villa Park Animal Clinic In Orange County, CA. Villa Park Animal Clinic - Serving Villa Park, Orange, Anaheim and other central Orange County communities. "We are located at: 17859 Santiago Blvd., Ste. A Villa Park, CA 92861-4114. The Clinic is in the Villa Park Shopping Center (Ralph�s) in the office building behind the Bank of America (in the NE corner of the building)." "Quality pet care, at affordable prices." A fresh NEW Approach to Veterinary Services including pet Dermatology & Noninvasive Allergy Testing. This pet clinic in Newport Beach provides pet care to dogs, cats, birds, reptiles and mammals. They have an emergency doctor on call. "We are a family pet practice with a heavy emphasis on avian species. Birds comprise nearly 60% of our patient base, although on a daily basis we are visited by dogs, cats, rabbits, reptiles, and pocket pets such as hamsters, mice, and guinea pigs." What is nice about this veterinary clinic is that they practice full service medicine & surgery. Irvine�s ultra-modern, technically sophisticated, 7-day animal and bird center is a 2-story, 14,000 sq. ft. facility with a staff of 30 including 3 vets. They also have boarding services that feature 24 hour human oversight. Quite possibly one of the most complete, full featured pet care facility�s in the world with every possible service. Marina Hills Animal Hospital In Laguna beach, Ca. "Marina Hills Animal Hospital is a full service small animal hospital offering state of the art diagnostics, treatments, surgery, dental care, bathing, & overnight care for household pets combined with client education & customer care. We offer Dental Cleaning without Anesthesia! Also, behavioral services in conjuntion with trainer Penny." This is a Full-Service Hospital and Boarding Facility for pets in the city of Westminster on Garden Grove Blvd. They allow early morning drop off of your pets for vet care, Emergency Care, Surgery & Dental Services & Radiology and Ultrasound. If you like, they also can board your pet of you are away for an extended period or just the day. Grooming. We have expertise with dogs, cats, birds, pocket pets, and reptiles. Low Cost Vaccine Clinic Sundays from 2pm - 4pm. Board Certified Specialist on staff. Modern technology including Laser Surgery. Specialized surgeries including orthopedics performed on site. This veterinarian provides routine checkups for your pets, including treatment for serious health issues and soft tissue/hard tissue injuries. If you are working out the tough details of the last days of your pet, the Aliso Viejo Pet Clinic can help with loving Euthanasia & Pet Cremation. Geriatric medicine also for your dogs and cats. "Animal Eye Clinic was the first specialty clinic to be accredited by the American Animal Hospital Association (1975). This is one of only two clinics in North America with a qualified veterinary ophthalmic surgeon on staff. This means certified in both surgery and ophthalmology as distinct from ophthalmology only. "Trust Your Pets Health Care To Our Caring Hands." This veterinarian facility has now been in business for oever 50 years! 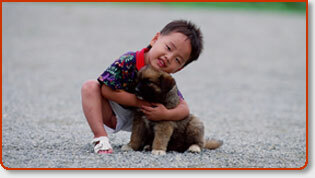 They commonly provide pet care treatment for both dogs and cats. Some animal health issues they tackle include: urinary tract infection, flea challenges, heartworm, ticks and infection. Also, cat and dog boarding. Very helpful bios are described for each vet that practices here. This Orange County animal hospital�s equipment includes: isoflurane and sevoflurane anesthesia with pulse-oximetry monitoring, ultrasound and X-ray facilities, electrocardiography, blood chemistry testing as well as the latest technology in blood pressure and eye pressure testing. This pet clinic in Southern California emphasises preventative health care for all pets as well as employee and client education for the future. What is unique about this vet is that they provide tours of their pet facility. AHHB offers full boarding facilities for dogs, cats, birds and other exotics. Dental care, orthopedic, soft tissue injury +. "Since 1956, Community Veterinary Hospital has been honored in bringing your pet the best, professional health care available in OC. We understand that your pets are like close family members, which is why we strive to give them hospital-level attention. We offer personalized veterinary care. Our qualified veterinarians are licensed & experienced. Very, very long list of pet care services at Fullerton�s Tri-City Pet Hospital & general veterinarian. They have Advanced Surgical Care capabilities through laser surgery for cat declawing, etc. They provide total hip sugery for dogs, as well as knee surgery. This veterinarian clinic also offers cat & dog boarding, grooming & even dog training. Excellent concept that is catching on. Bring veterinarian services to people at outdoor locations, etc. The website provides dates and times where they will be setup for the public to come and receive their services (sometimes discounted). They travel throughout the year to Orange County, Ca. LA, Riverside, San Bernardino County and Ventura. Great veterinarian website for Orange County, California pet owners. Lots of info if you desire to research the vets you will entrust your pets health with BEFORE you bring them in. You can schedule a general appointment directly through their website as well as a boarding drop off. What is unique is that they provide pet behavioral consulting. Pet Hospital offers a full range of veterinary services for your pets. Cats, dogs, birds, rodents & reptiles care. This vet facility offers the following unique services: Microchip Implants & Veterinary Orthopedic Manipulation (VOM) which is similar to chiropractic care. Standard veterinary care as well as treatment of skin issues in cats & dogs. This vet is open as early as 7:00 a.m. for appointments and walkins. They also have 24 hour veterinary emergency care for your animals, however call ahead please. They can consult pet owners on dietary planning, dental care for your dogs and the benefits of periodic health checkups at their pet clinic in Whittier. Check there long list of services this veterinary offers. "Advanced Critical Care & Internal Medicine is a state-of-the-art veterinarian facility, providing 24-hour pet emergency, animal trauma management, emergency surgery, internal medicine, & critical care. We also offer various referral options to assist your pet and your family veterinarian." This vet website that provides services to the city of Laguna Beach, Ca. and surrounding beach cities does a good job getting you familiar with their clinic. They provide each vet�s bio, veterinarian training, pet services they specialize in for your dogs and cats and more. Vaccinations are half price on Tuesdays. In an effort to create the most comfy environment and professionally equipped veterinarian facilty, they�ve remodeled and added equipment in 2002. This vet in Tustin provides dentistry for your pets, as well as orthopedic surgery +. Dog Health and Cat Health. In hopes of helping you always having optimum health care for your pet just a click away, I�ve listed several veterinarian resources in Orange County and the surrounding area. This is a free service to veterinarian professionals and similarly related resources. If you have had good experiences with a particular animal healthcare professional, encourage them to list their practice here. You will most likely find all members involved in the veterinary pet profession and canine health listed including: technicians, veterinary practitioners, clinical specialists, as well as biomedical research scientists properly trained to respond to your dog and cat�s health concerns. I always suggest to at the very least visit a couple veterinarians before deciding on one that is right for your dog or other pet. Possibly even enquire if their facility provides free veterinary advice when your making a go of a tough decision on your own. Needless to say, your goals should be to find a canine health vet that meets all the special needs for the particular type of animal and breed that you have. Picking a vet is a personal choice, not unlike choosing your own medical doctor, and therefore you�ll want to seek one that prioritizes the long term health of your pets. They should be very interested in establishing a long term relationship with your dog or cat�as well as you. They know the best preventive and critical care to provide your pet�s individual health care needs and keep this in mind. That said, remember that there ARE also alternative healthcare practitioners available to treat your pets as well. They traditionally stress more of a holistic approach to treatment. The following are links to various websites that I personally have accumulated as well as others that have been uploaded by their respective owners. We need however to stress the importance, that the internet is no substitute for a real veterinarian, and while some of this information is very worthwhile, we all must be very careful as to how we use that information and that takes wisdom.